Why private life insurers are struggling to find their groove? In a casual chat with a personal banker at her bank branch in early 2009, single mother Krutinica Raghunath first learnt about unit-linked insurance plans, or ULIPs. "You have to pay Rs45,000 per annum for three years," he explained. Not convinced, especially as she already had a 'money back' policy from Life Insurance Corporation, or LIC, the 45-year-old working professional promised to get back soon. On Raghunath's next visit to the neighbouring bank in a Mumbai suburb, she got an irresistible offer from the young aggressive banker. "You pay Rs15,000 per annum for three years and get a minimum Rs60,000 and a maximum of Rs80,000," he said smoothly, rolling out the stock market statistics of the justgone boom period. The 20-year ULIP he was offering, with a three-year lock-in, also had a death cover of Rs1.5 lakh. Raghunath's remaining apprehension - the policy application didn't have the bank's name - was dismissed with a "they are our partners" rejoinder. She fell for the deal hook, line and sinker. Critically, the stock market risk in the plan was not mentioned to her. Soon enough, the markets began to slide, and ULIPs took a major beating. A few weeks ago, forced by rising expenses to make an early exit from her ULIP, Raghunath was horrified to see her investment value at Rs35,000. The young banker had left, and the new one explained: "The stock market is down." 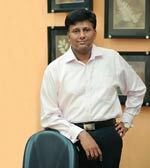 Says a helpless Raghunath: "We also work, but we never cheat our clients." The plight of millions, who bought ULIPs from private sector insurers, is similar to that of Raghunath's. Even a decade after the sector opened up to private companies in 2000, nobody is rejoicing except LIC, which still enjoys 69 per cent market share. Be it customers, agents, the regulator or the promoters of private life insurers, everybody has a sob story to tell. The opening up of the sector resulted in explosive growth and the entry of global marquee names. But the accompaniments were a high-cost operating model, rampant sales malpractices, low persistency ratio - which reflect the percentage of policies that continue paying premiums - metro-focused business models and products that more resembled mutual funds than insurance. "What mattered was top line and market share," says Rajesh Relan, who came in as CEO and Managing Director of MetLife in July 2006. That was the time a second set of players such as Bharti, Future Group and Religare was entering the fray. This approach continued till the global financial meltdown hit the economy hard in late 2008. The sales of ULIPs mirrored the stock market fall a few months later. But it was more than a year later that the regulator, Insurance Regulatory Development Authority, or IRDA, finally chose to intervene. Once IRDA got going, it moved swiftly, clamping down on the misuse of ULIPs. The compulsory lock-in period changed from three years to five years. Agents' commissions, which were as high as 35 per cent, were hacked to less than a third of that. Costs of products were also reined in. If the expected return from a product was, say, 10 per cent, the net return to the customer had to be at least 7.75 per cent, with all costs capped within 2.25 per cent. "It improved the net yield to the customer," says Puneet Nanda, Executive Director at ICICI Prudential Life Insurance. It also put the focus on productivity and efficiency. "It brought in some kind of cost discipline," says Relan of MetLife. 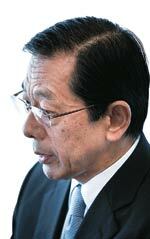 However, it also resulted in declining sales of ULIPs and a big fall in insurance premiums. "It has dramatically shifted the focus to profitability," says SBI Life's Managing Director M.N. Rao, whose company has been making profits for the past three years. As in the case of Raghunath, mis-selling results in low persistency, or the phenomenon of a policyholder either surrendering his policy before the term or exiting after the minimum lock-in period. Today, the outflow of funds from early surrenders is as high as 90 per cent in a year. "This is a very bad sign as it could lead to mismatches," says a CEO of a private insurer. 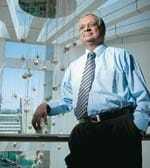 If the persistency is high, the renewal income starts following," says Jayant Dua, CEO of Birla Sun Life Insurance, who was brought in from the Aditya Birla Group's electrical insulators business in July 2010. Renewals reflect a more stable income as costs in acquiring new business - the first premium - are relatively high. "But things are changing for the better. Mindless expansion has halted as companies try out cost-effective channels like the European-styled Bancassurance model - selling insurance policies through banks' branches. 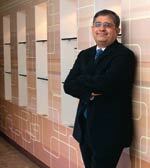 "The bancassurance model will grow at a faster rate than the agency channel," says SBI's Rao. But the bancassurance channel is also not foolproof, and so not everyone is taking the bait. "Agency channel has a personal touch," believes V. Philip, Managing Director & CEO of Bajaj Allianz Life Insurance, the bulk of whose business comes from the agency channel. Product focus is also shifting from ULIPs to traditional products. 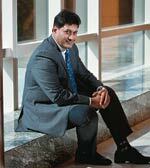 "Lower commissions have accelerated the shift towards traditional products," says SBI's Rao. There is also an accelerated move to tap the potential of small towns and cities. "Our premium contributions from smaller towns have been over 75 per cent," says Philip. There is fresh energy in the air. There are also new players coming in. Japan's Tokio Marine landed last month. Amitabh Chaudhry, CEO of HDFC Standard Life, was managing a BPO business from Bangalore earlier, and was hand-picked by Deepak Parekh to shake things up at HDFC Life, which is yet to break even after 10 years. ICICI Prudential brought in a general insurance chief Sandeep Bakhshi, while Bajaj Allianz brought in Philip from Bajaj Finserv. We actually took the decision six years ago. India is undoubtedly a very attractive market. The most important factor for success in any joint venture business is to have the right partner. We have finally got one. I think the timing is not so bad. We have been preparing for this business for the past two years with Edelweiss. We think it is a good time to start setting up infrastructure when the economy is not so good. You should never waste a crisis. We had over 300 candidates. We looked at banks as well. Our management was keen on our own agency force. We needed a like-minded partner. In 2008, we were able to meet the Edelweiss management. We did two years of business planning before getting into a joint venture. Joint venture partners should share chemistry and have the same management philosophy and a shared vision. That is what matters for us. I think there was rapid growth at the start which helped increase the penetration levels. But there is also a flip side. The market is now turning on the quality side. There is more customer-centric pricing. The regulator is also making interventions. Life insurance is no longer a top-line game. "The focus is on building a sustainable model," says MetLife's Relan, whose company reported first ever profits of Rs35 crore in 2010/11. Rajesh Sud, Managing Director & CEO, Max New York Life Insurance, says if you sell right, there is no scope for complaints. "We actually shopped for customised courier services for each region based on the best player in that particular region," he says. What does the future hold? IPOs by private insurers will soon hit the market and improve disclosures, corporate governance and, perhaps, valuations for the fledgling industry. Consolidation is also around the corner. A few months ago, Mukesh Ambani bought Sunil Mittal's stake in Bharti Axa. Finally, this employment-generating machine will see exciting times if the government relaxes FDI guidelines to 49 per cent. "This is a transition phase for the industry," says SBI's Rao. 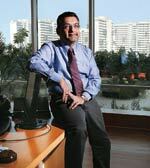 Adds MetLife's Relan: "People in India don't get up in the morning to buy insurance. It has to be pushed or sold." That change looks a long way away, but gullible people like Raghunath will still heave a sigh of relief as the industry matures. Whether the private insurers can take on goliath LIC anytime in the future, though, is an entirely different matter.